Olivera Construction builds homes in Lakeland, Winter Haven, Lake Wales, Tampa and surrounding areas – on your property or ours. We have a nice selection of lots available in a number of communities. Please contact us if you need assistance locating a building site. We have strong working relationships with a number of real estate agents and developers in the area. Below are a few of the subdivisions where we own building lots or are building/designing custom homes for our clients. 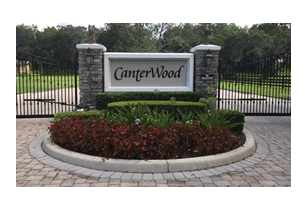 CanterWood is an equestrian subdivision located off Imperial Lakes Boulevard in Mulberry. This enchanting community offers the unique ability to build luxury estate homes. Once you enter through the neighborhood’s iron gates, you feel as though you are miles from town. With home sites up to two acres and access to its exclusive horse farm and stable, Canterwood is a magical place to call home. Nature and gorgeous homes add to its beauty. 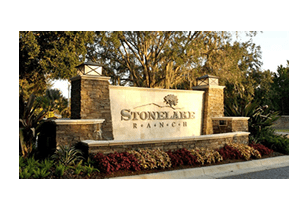 Stonelake Ranch is a private, master-planned community filled with captivating scenery and alluring tranquility. Located along the eastern shores of Lake Thonotosassa in Hillsborough County, it is minutes from I-75, I-4 and metropolitan Tampa. It features open meadows, babbling brooks, diverse woodlands and an avian sanctuary, along with 240 acres of common area. Home sites range from 1.5 to 14 acres, with an average size of 3.5 acres, and many are on direct waterfront or wildlife-rich canals. Heritage Lakes is a departure from ordinary living. These charming, beautiful and elegant homesites are surrounded by tranquil Florida lakes. These exquisite lots are part of an exciting and active community awaiting a select few. 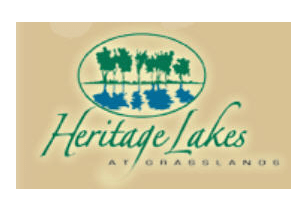 Heritage Lakes is an elegantly designed subdivision in Lakeland that combines Florida’s natural beauty with a planned area for custom homes. It is located near the Polk Parkway, and has grown into another outstanding community within Grasslands Golf Country Club. The Preserve at Eaglebrooke is a community where families, traditions and life can grow and be nurtured. This sanctuary embraces and welcomes you back daily. Eaglebrooke Preserve is centrally located between Orlando and Tampa. An assortment of attractive neighborhoods features home sites in total harmony with the natural environment.